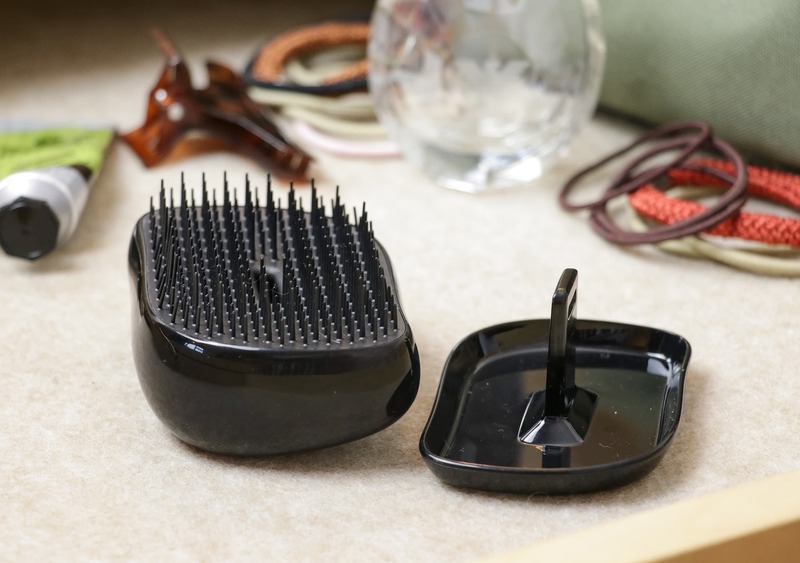 Back in 2007, Shaun Pulfrey took his detangling hairbrush invention onto Dragon’s Den (the UK version of Shark Tank) but didn’t get a single investment. 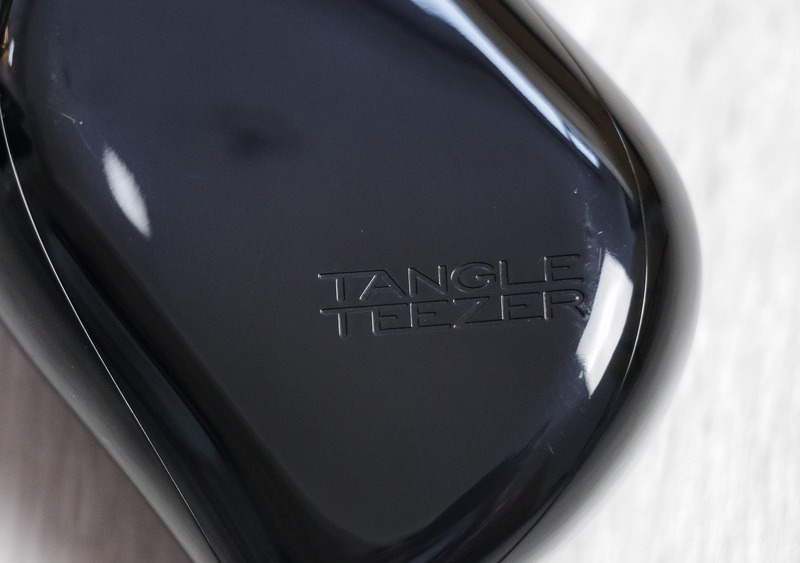 However, Tangle Teezer shot to fame after its appearance on the show—and now, over ten years later, is used by the likes of Victoria Beckham, Salma Hayek, and Emma Watson. Since their humble beginnings, Tangle Teezer has expanded their range significantly. 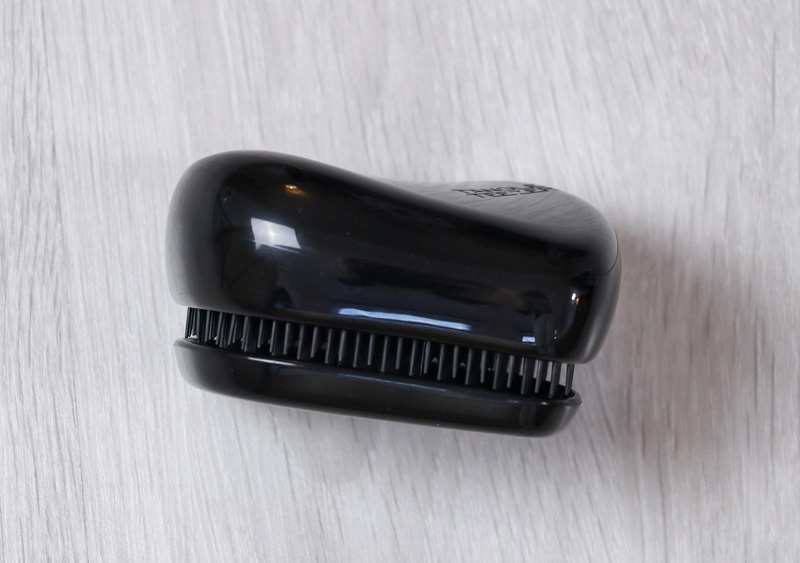 And in this review, we’ll be taking a look at their travel specific hairbrush, the Compact Styler. We’ve been testing the Compact Styler for over five years now, and it’s seen use in three continents and over twenty countries. Yes, you read that right. Five. Years. Given our usage, we obviously like this thing pretty well, so let’s find out why and dive into all the details. You’d be hard-pressed to know just what this product is when the cover is clipped on, and we’re digging its sleek and minimal style. The Compact Styler weighs in at a mere 1.8 ounces, and at 2” high, 3.5” wide, and 2.4” deep, it won’t take up much room in your pack either. The Compact Styler has pretty minimal branding, with just an engraved logo on the front. The logo is the same color as the brush too, so it’s super discreet—which we like. The Compact Style is available in a wide range of colors and designs. Other than solid colors, Tangle Teezer collaborates with the likes of Disney and various fashion brands to offer some interesting designs. Ever wanted a Stormtrooper or Olaf the Snowman on your hairbrush? Well, you are in luck! You can even upload your own image for a personalized touch which is nice. 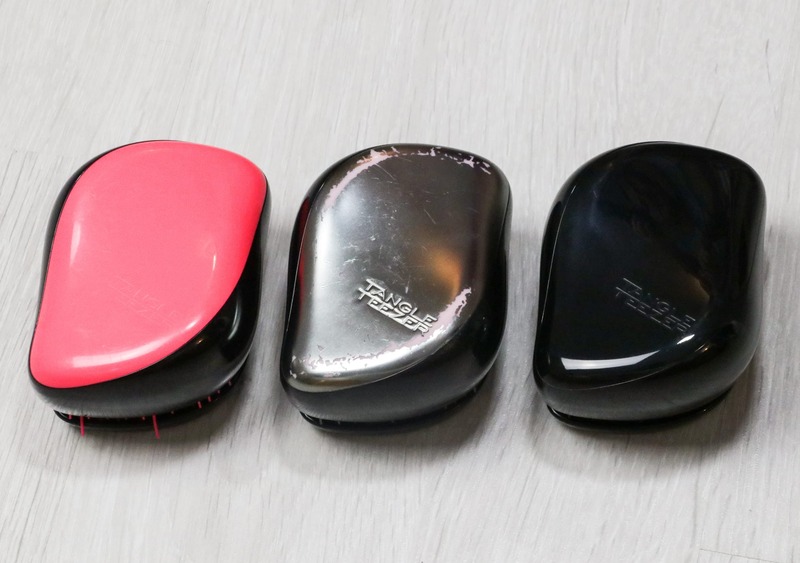 Here at Pack Hacker, we’ve been testing three different colors—a pink and black, a silver and black, and an all-black. Interestingly, the silver and black colorway is marketed as the “Men’s Groomer,” but there’s really no difference in the actual product itself. Apparently, men can’t use other colors besides silver and black—but some of the men on our team did, because we’re a bunch of rebels. In short, the Compact Styler is made from plastic, but at Pack Hacker, we like to dive a bit deeper than that. 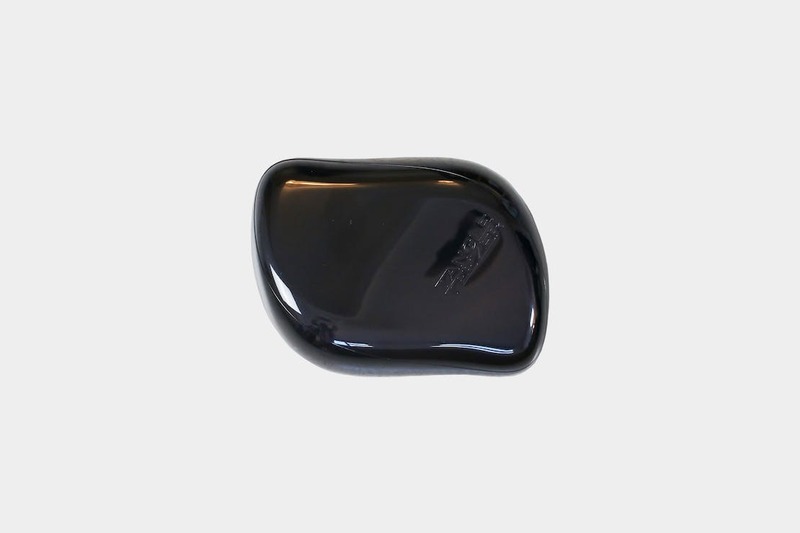 The main casing is made of ABS and polypropylene, which are widely used and durable plastics. And the teeth are made from DuPont Hytrel®, which is a material that combines the flexibility of rubber with the strength and process-ability of plastics. Additionally, the Compact Styler and its packaging is 100% recyclable and manufactured in the UK. The Tangle Teezer Compact Styler is used just like every other hairbrush but works differently. Designed with an innovative two-tiered teeth system, this brush teases and detangles your hair as opposed to dragging through and breaking it. 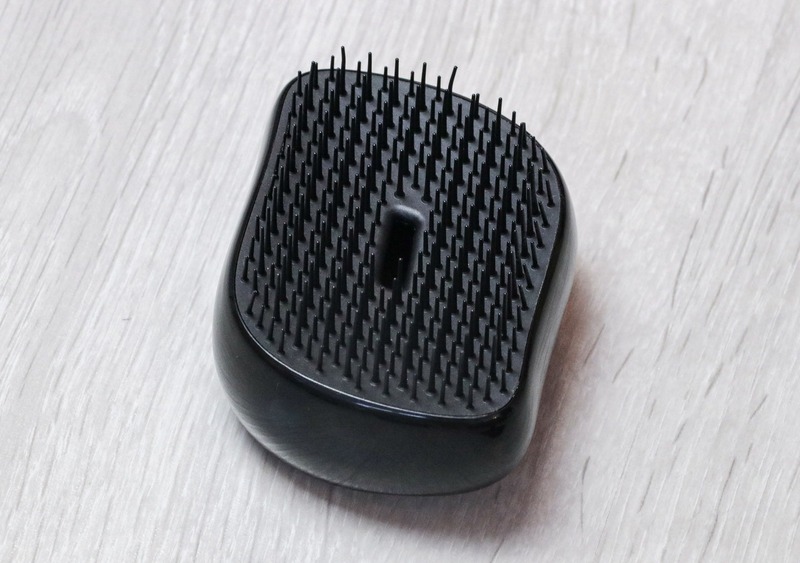 Of course, a traditional hairbrush still works fine, but we found the Tangle Teezer design is more efficient and doesn’t damage your hair as much. While the benefits of the Tangle Teezer design may be more evident for thick and curly hair that’s prone to tangles, we’ve been impressed with how well it works with all types of hair—wet or dry, man or woman. Unlike most traditional hairbrushes, the Compact Styler doesn’t have a handle, but this wasn’t an issue. The rounded shape provides a comfortable grip, and a handle would only take up unnecessary room in your bag anyway. We’re digging the click-on cover too, which protects the teeth from getting damaged when the brush is inside your pack. Very thoughtful addition and ideal for travel! 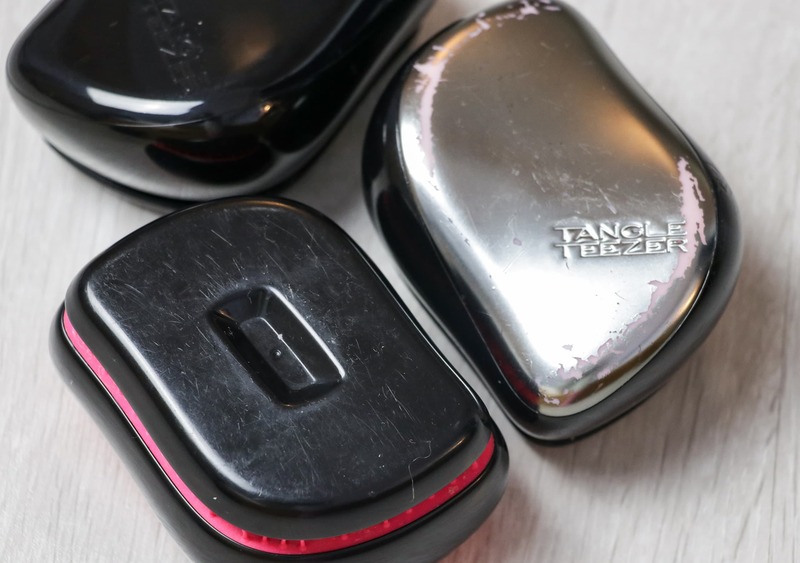 At the time of this review, we’ve been testing the Tangle Teezer Compact Styler for five years and it’s seen use all over the world. During that time, it has held strong and become one of the trustiest items in our travel-hygiene arsenal. When it comes to durability, even our oldest brush—the pink and black that’s seen five years of use—is still as functional as it was brand new. Although, aesthetically, all of our brushes have taken a bit of a beating. The pink and black is fairly scratched up and the metallic-looking coating on the silver and black version is coming off too. We would recommend steering clear of the shiny/metallic versions because of this. We have found that after two to three years of use, the flexible teeth can bend slightly. Surprisingly, this didn’t have an effect on the overall performance of the brush, which is awesome. If the bending or aesthetic blemishes do ever get too much for you, these things are priced competitively low, so you can easily pick up a replacement. Enjoying how easy this thing is to use, a real time-saver. It’s come with us on a few short city-breaks around Europe. It would be hard to go back to a normal hairbrush now. The plastic is showing some small scratches on the outside, but nothing major. We’ve noticed some slight bending of the teeth, but this hasn’t effected its functionality. Took this thing on a year long trip around the world, it was one of the first items on our packing list. Detangles your hair without breaking it. Paintwork scratches off on the metallic colors. Teeth can bend slightly (but only after years of use). There is potential to lose the click-on cap if you’re not careful. The unique and innovative design of the Tangle Teezer Compact Styler makes brushing your hair a stress-free task wherever you are in the world, and with whatever style of hair you have. 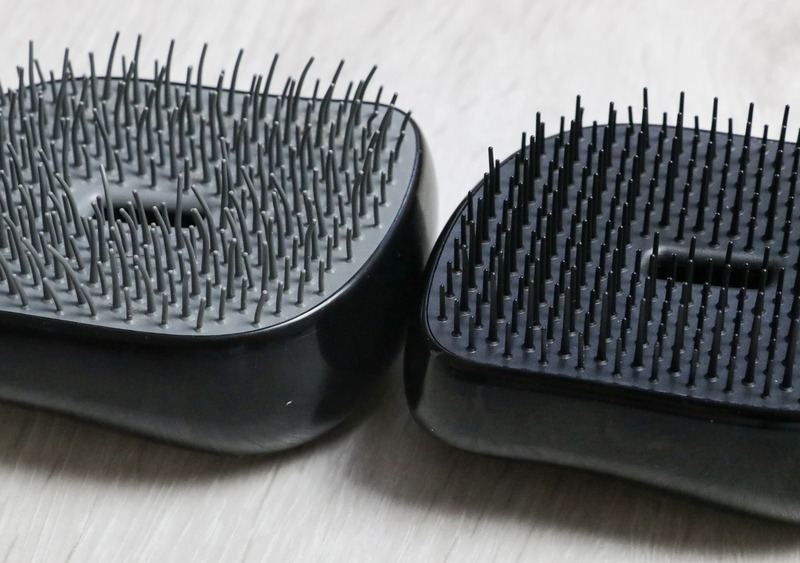 In testing, we found the Compact Styler far better than traditional hairbrushes, and other than some slight bending of the teeth and minor aesthetic blemishes, this is a great product that will last for years. 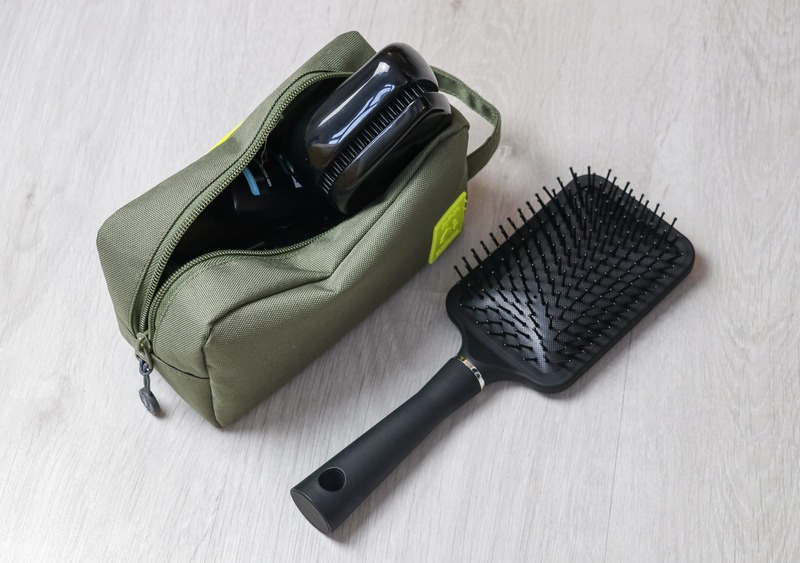 If you’re looking for a hairbrush that won’t damage your hair, will save you time, and will fit into your dopp kit, the Compact Styler is a fantastic choice.